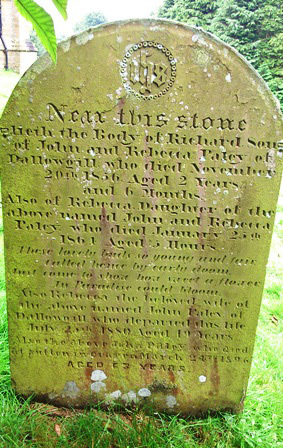 of Dallowgill who died November 20th 1856. Aged 2 years and 6 months. who died January 25th 1864 aged 5 hours. Just come to show how sweet a flower, In Paradise could bloom’. who departed this life July 25th 1880 aged 49 years. Also the above John Paley who died at Sutton in Craven March 24th 1896.